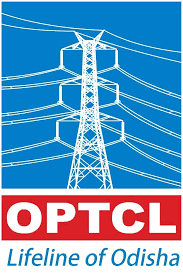 OPTCL is looking for bright, qualified and energetic personnel with brilliant academic record to join the Corporation as OFFICE ASSISTANT GRADE-III (Trainee). i. A candidate must possess a Bachelor’s Degree in any discipline from a recognized University or possess such other qualification equivalent there to. ii. And the candidate must have adequate knowledge in computer application. Eligible candidates will be called for Computer Based Test comprising Multiple Choice Questions (MCQs) from English (30%), Computer Application (15%), Mathematics (15%), Reasoning & Mental Ability (20%) and General Awareness (20%). The CBT will be of Three (3) hours duration. Candidates who qualify in CBT and be shortlisted will be called for Skill Test in Computer Application in prescribed criteria. The merit list will be drawn purely on the basis of Performance in the CBT and Skill Test in Computer Application. The offer for appointment shall be issued to the selected candidates on the basis of merit. However the final appointment of selected candidates will be subject to their medical fitness as per the prescribed standard. On selection they shall be posted at any of the offices of OPTCL throughout Odisha. Only those candidates who have been shortlisted after the CBT shall be called for the Skill Test in Computer Application. Grouping Identical Figures Embedded figures, etc. The applicants who are preparing for the Office Assistant in Odisha Power Transmission Corporation Limited can check the important materials into this blog. You can refer Odisha Power Transmission Corporation Limited Office Assistant exam syllabus and test pattern to your friends. The test pattern and syllabus varies from post to post. So follow Odisha Power Transmission Corporation Limited Office Assistant post syllabus first. You can download previous paper form our blog and website free. We are providing some downloading links for Odisha Power Transmission Corporation Limited Office Assistant model papers, old question paper and sample preparation question answer. All question papers are solved with answer. Why previous year question papers are important for preparation? Old and previous year question will help aspirants to give an idea about the examination and question pattern. From previous question examinee can get marks distribution as per syllabus. As all previous year question papers are solved examinee can check the answers after solved. Odisha Power Transmission Corporation Limited company Office Assistant post written test examination coming soon. Aspirants need to prepare well for this examination. For preparation candidates need model questions for preparation. We prepare Office Assistant model question paper for candidates preparation. Download all the model question set to practice and preparation. Download PDF model paper free. All sample question papers are prepared under experts and specialist. Sample questions are as per syllabus described in the advertisement. You can download PDF sample question paper. All sample questions are solved and with answers. You can check correct answers after practice. Office Assistant sample paper will help you for your preparation before examination. Refer you friends for Office Assistant sample question set.